Jeremy Harris is a New York based commercial and fine art photographer. 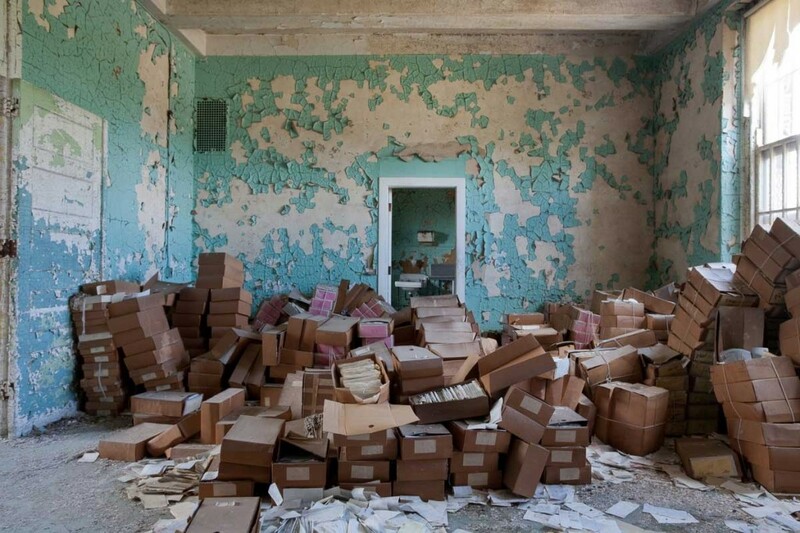 His ongoing project American Asylums: Moral Architecture of the 19th Century documents abandoned American asylums. The grand scale of the buildings is evident from many of the shots. “The original designers of the buildings wanted them to be therapeutic for the people who lived in them” says Harris. “That’s why they built massive hallways, [with] lots of light, [and] pleasant colours”. 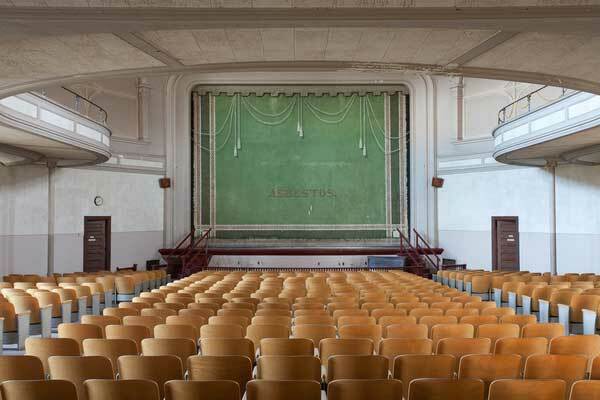 One picture shows a huge abandoned theatre – a reminder that these were total institutions cut off from the wider community. Harris finds numerous patient artifacts in the places he visits. 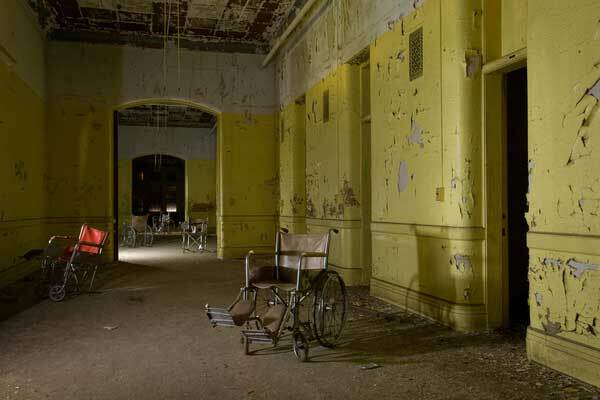 Many are anonymous and appear carelessly abandoned; wheelchairs sit idle in corridors and baths and beds remain where they were used. But he finds personal effects too and one room has what look like patient files strewn around. 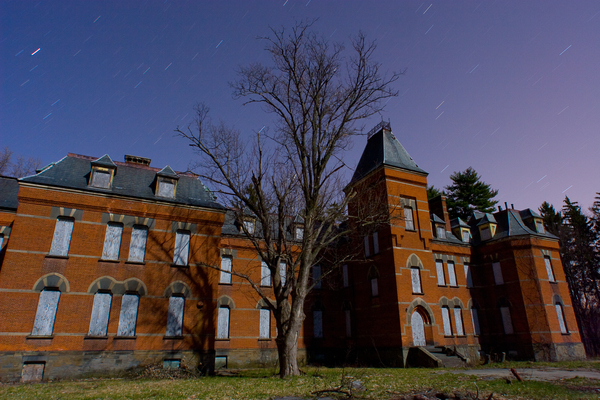 No doubt the asylums are eerie to visit but they’re also evocative places. “When I come across a particular patient room … one of the things I like to do it to sit in the room and to imagine what it was to be patient in that room and not be able to leave” says Harris.